I've been racking my brain since WrestleMania ended, trying to think of a way to sum all of this up in the usual PPV review I do. I've been trying to look for the overarching theme, the thread that binds it all together, the one trail we can all follow into the discussion we're all anxious to have. I guess the truth is somewhere we can start from. The reality is this WrestleMania is both an emotional rollercoaster... and too damn long to wait for all the moments we're looking for. For those wondering, the two things are not mutually exclusive, and this show is the prime example. In fact, one could even say that they've perfected the balance of getting the audience to swallow this behemoth of an event: let the show run around seven hours, and keep stringing them along by giving them exactly what they want. They've learned from years of flat Roman Reigns and Brock Lesnar main events that the only way to send them home happy is to literally send them home happy. In that regard, they've won. One can't take away the fact that moments like Seth Rollins, Kofi Kingston, and Becky Lynch winning are the moments pro wrestling fans live for, the occasions they praise the WWE for actually having the balls to pull off. They deserve the credit for that. But now that they seem to have figured it out, however, where does one draw the line? Does it truly make it acceptable for shows to go this inhumanely long? Do fans truly enjoy the experience of devoting so much time to the one thing that's better than the thing everyone else loves, even if it's as gargantuan as WrestleMania? Because, while I can't speak for others, I unfortunately have to tell you that for me, the answer is a no, chief. Here's how I enjoyed WrestleMania: I know which moments I was waiting for. I wanted Seth Rollins to win and become a full-time champion again. I wanted Kofi Kingston to get his big moment in the sun, to prove that a career seemingly slated to the midcard isn't always the case. I wanted them to get the inevitable Becky Lynch victory in the first-ever female main event out of the way. Everything else, I didn't exactly care about, because the company did a good job of anchoring this show on the possibility of those three big events happening. If the issue is giving everyone a WrestleMania payday, book everyone else who doesn't have to be on the main show at Axxess weekend and give them the bonus anyway. Make the whole weekend the biggest deal it could be. It truly isn't that hard. I don't know when it will happen, but I can't wait to go back to the days of WrestleMania being special because of who's on it, not because of how long it is. 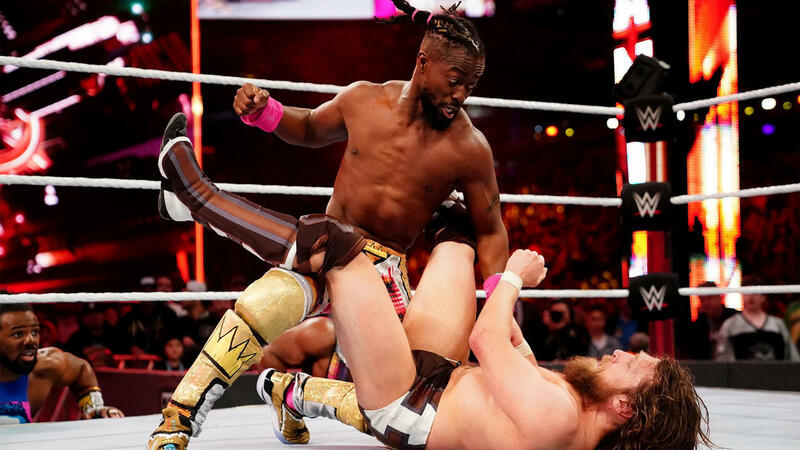 While I understand exactly why this match had to go on in the middle, the emotional high Kofi's victory gave everyone did everything coming after this match really dirty. How bad? For me, the whole show could've ended after this match and people would've gone home really happy. The strength of this match lies in its purity: it didn't try to do anything fancy, it just told the story it was supposed to tell. That alone makes it worth a second watch.